How To Buy Micromax Bharat Go Mobile At Rs 2399 Effectively? How To Buy Micromax Bharat Go Android Mobile At Rs 2,399 Effectively? Where Reliance Jio is giving data at cheapest rate, other big operators are partnering with various smartphone brands to provide bundled data. Jio also does that. But recently, Bharti Airtel has played such game in partnership with Indian mobile brand Micromax. Airtel and Micromax together also claimed that this new Android smartphone will be available at an effective price of Rs 2399 only. 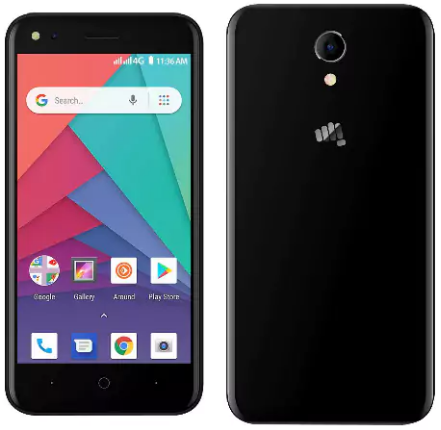 So, in this article, we will talk about how to buy Micromax Bharat Go mobile at Rs 2399 effectively and what are the conditions and hidden requirements are involved with this deal. So, let’s get started. Before we move into the purchasing process, let’s have a look at the Micromax Bharat Go specifications. Bharat Go comes with a decent display size of 4.5 inches (480x854px resolution). This phone is powered by a quad core 1.1GHz MediaTek MT6737M processor coupled with Mali-T720 GPU. The Bharat Go phone also contains 1GB of RAM and 8GB of built-in storage which is expandable up to 128GB via MicroSD card. The phone runs on Android 8.1 Oreo Go Edition. On the camera part, it comes with 5MP front and rear cameras and LED flashlight. Some of the connectivity features are 4G VoLTE, WiFi 802.11 b/g/n, Bluetooth v4.0, GPS, etc. A 2000mAh battery gives the power to this lightweight Android smartphone. Now come to the main part which is Micromax Bharat Go price in India. Well, this is the most interesting thing about this phone as Airtel has partnered with Micromax to provide this phone at an effective price of just Rs 2399. But the actual Micromax Bharat Go price in India or if you don’t want to go with Bharti Airtel, this phone will cost you around Rs 4399. But as Airtel is also involved with this phone, you could get this phone at Rs 2399 only effectively. How? Let’s see the partnership between these two companies below. Many of you might know that Bharti Airtel has recently taken an initiative called “Mera Pehla SmartPhone”. Under this initiative, Airtel is partnering with Micromax to provide flat Rs 2000 cashback with the Bharat Go mobile. So, the ultimate price of the Bharat Go mobile will be Rs 4,399 minus Rs 2000 which is Rs 2399. But to avail Rs 2,000 cashback, users need to stay subscribed to Airtel 4G plans for certain period after purchasing the Micromax Bharat Go at regular price. Apart from that, users will also get benefits from Airtel as data, calls and free subscription to the various Airtel apps. How To Buy Micromax Bharat Go At Rs 2,399 Effectively? First of all, buy Micromax Bharat Go from anywhere. Make sure this offer is available with the unit. Then take an Airtel sim card and insert it on the newly purchased Micromax Bharat Go. Now you need to recharge at least Rs 3,500 worth of Airtel 4G plans within the first 18 months after buying the Bharat Go. Once you’re done for first 18 months, you will receive Rs 500 cashback from Airtel. Then you need to recharge a total amount of Rs 3,500 again with Airtel 4G plans for another 18 months. Only then, you will receive Rs 1,500 cashback again from Airtel. So, at the end of 36 months, you will get total amount of Rs 2,000 cashback from Airtel making the ultimate price of Micromax Bharat Go just Rs 2399. Hope you have understand the whole process to buy Micromax Bharat Go at effective price of Rs 2399 only. If you still have any question regarding this Airtel Micromax Cashback offer, comment down below.